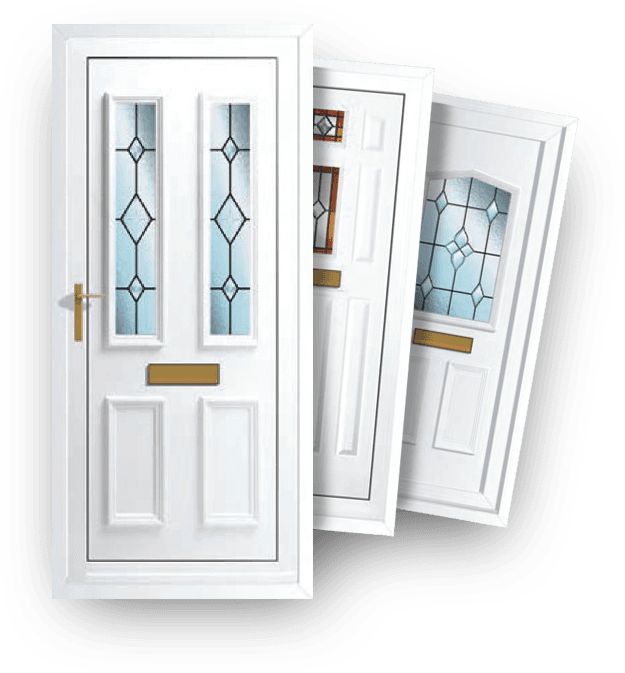 At Manchester Windows Ltd we offer a huge range of reinforced, durable and elegant uPVC panel doors. They are guaranteed against warping and cracking and will never need to be painted. Our panel doors are engineered to last and are excellent value for money. All doors are available in various whites to suit most profiles and a number of woodgrain finishes including mahogany, light oak and rosewood. All the door panels in this range comprise two uPVC skins pressure bonded to a core material of EHDFRA polystyrene (Extra High Density Fire Retardant Additive), using a specially formulated adhesive that is both heat and moisture resistant. The result is a core free from CFCs and a skin that is fire retardant (BS476-12). Our panel doors offer a high degree of thermal efficiency and, by using our range of reinforcing options and anti-snap locks, a high degree of security.